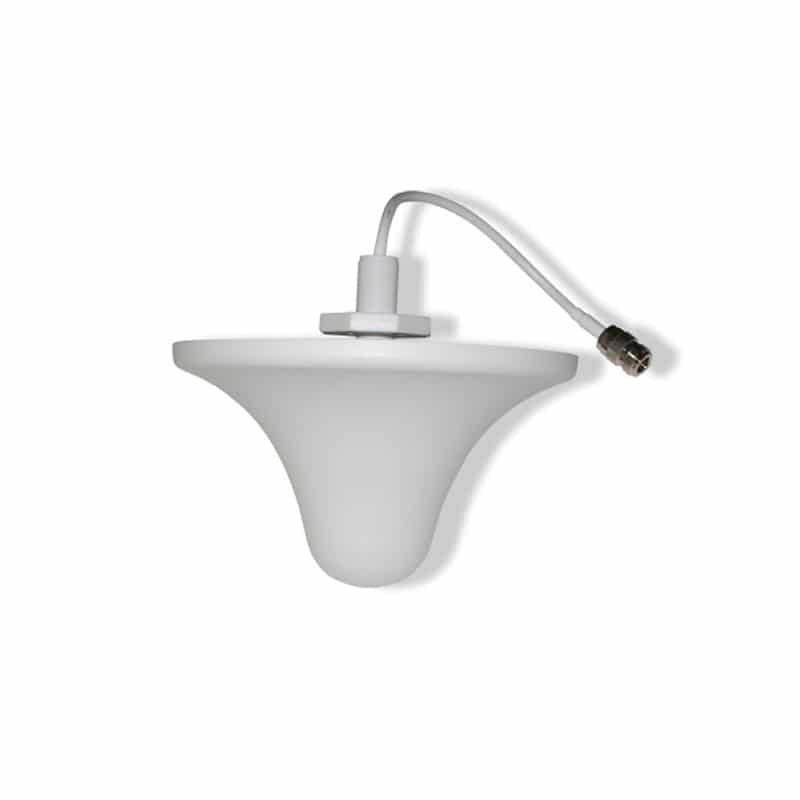 Omni Antenna multiband ceiling mounted indoor coverage antennas or low profile and ideal for indoor coverage. This antenna is designed to be mounted in a suspended ceiling and provides better indoor coverage than a standard whip antenna. The Omni works with all mobile networks including GSM 900, GSM 1800 and 3G UMTS 2100. This antenna is compatible with any of the repeater kits on our site and more than one multiband omni can be used with on of our signal splitters to provide coverage to more than one area with a single base unit repeater. The Omni ceiling mount aerial covers 3G UMTS 2100, GSM900 and GSM1800. The stealthy, small and unobtrusive profile blends easily with any environment. The aerial looks like a smoke detector and can be combined with any of our repeater kits. Features multi-band frequencies with one connector, low profile, easy to install, ceiling mount and no tuning required.